While many in the digital signage industry are focused on acquiring new customers through screen purchase, those of us in content creation are confident that our market will continue to expand as content in existing networks grows older. As we ring in the New Year and replace our calendars (isn’t it good to keep some things non-digital? 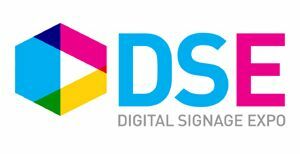 ), we’d like to suggest these New Year’s Resolutions for Digital Signage Content Management in 2016. We live in a connected world. Once content is put out there, it will be consumed and date stamped. Try writing blogs – it’s a beast that must always be fed! The same is true of videos, graphics, case studies, and white papers. Once content is released, we must move on to creating the next iteration of it. In short, content gets old – and fast. As more companies add digital signage to their businesses, they unwittingly start a countdown for when new content will need to be developed, which in our experience, this tends to be two to three years. While the need to refresh or replace content is not new to the sector, it is key to the continued success of a network and serves as a reminder to digital signage users that budget should be set aside for content specifically. Keeping messaging fresh can only add value to the business outcomes and investment in the digital signage network. When we create and optimize content for digital signage, we often use our customers’ websites to guide the design conversation. In addition to guidelines for logo placement, primary colors, and content (“Let’s have a button called Directory, like we have on our website,” customers often say), a new trend is that the same content can be sent to a website and to digital signage. This is in part a realization by companies who have committed resources to updating their website regularly. When digital signage is wholly the responsibility of IT, it is seldom updated for lack of internal direction or coordination with other departments. Instead, we recommend consolidating those internal content resources. Let one person upload to the webserver update both digital signage and the website. With many customers opting for cloud based digital signage systems, this is even easier to accomplish. One caveat here is that websites and digital signage tend to require different resolutions and file types for content. When considering parallel updates to websites and digital signage, make sure to do your homework, and consult with a company familiar with both digital signage systems and web development. This subtitle sounds a little extreme, and the job market these days doesn’t appreciate it. Unless a digital sign is providing information that you have several humans trained to provide to your customers or guests, the screen won’t be used. As a general rule, don’t implement an interactive screen unless you’re planning on having it significantly supplement, or take the place of a person on your staff. Does your Front Desk staff spend a lot of time printing boarding passes for guests? Are people constantly asking how to get to their event space? Are you paying someone to throw away printed menus when you could make them digital and update them as often as you want? I offer these examples because they are a few of the applications of digital signage that tend to be the most valuable to users. However, if you’re expecting visitors to swipe their way through headline news on a 55-inch screen, while reading detailed articles as people look on, we suggest re-evaluating your use case (and perhaps your investment). Other hackneyed approaches include weather conditions and scrolling text messages. Catching an eye of a passerby is one thing, but these two overused content types rarely provide value to customers and, even if the information is regularly updated, the value will quickly fade. As with any technology, the driving force should be to improve customer service while containing costs – this is a fine balancing act, but one that can ensure the success of your digital signage. In our years of implementing digital signage, we’ve seen many examples of unused digital signage, particularly interactive kiosks. Remember in the movie, Home Alone, when Kevin McCallister tells the story about the roller skates he never took out of the box? Don’t be “that guy” with digital signage that your customers don’t even need to use! During the past 10 years of robust growth in digital signage, we’ve seen customers purchase software and hardware that is overkill for what they plan to implement. It’s nice to imagine that you’ll make certain regular updates, or incorporate certain functionality into your screens, but we find that few customers have the resources or focus over a couple of years to follow through. Instead, if you haven’t implemented digital signage yet, spend a little extra time finding a solution that provides the functionality for what you want to do 90% of the time. You’ll end up saving a lot more than 10% on the software and hardware of your investment. Tools with all the bells and whistles can cost upwards of $2,000 for software (or $50/month hosted) and at least that much for interactive hardware. But less expensive options provide software for free, with a player at less than $500, and a non-interactive screen for less than $1,000. Don’t let the cost of digital signage scare you. Instead, determine how your content absolutely must function, and find software and hardware that can make that happen affordably. Matt Krebs is Founder and Vice President of Solutions for Creating Margin, which is a member of the Digital Signage Federation. He spent 5 years implementing interactive technologies with a leading digital signage software vendor, developing domestic and international channel partners. At Creating Margin he provides technical insights for sales opportunities and leads the services team. Creating Margin’s customers include large universities, national retailers, SMB businesses, and more. He resides in Denver, CO with his wife Tamara.